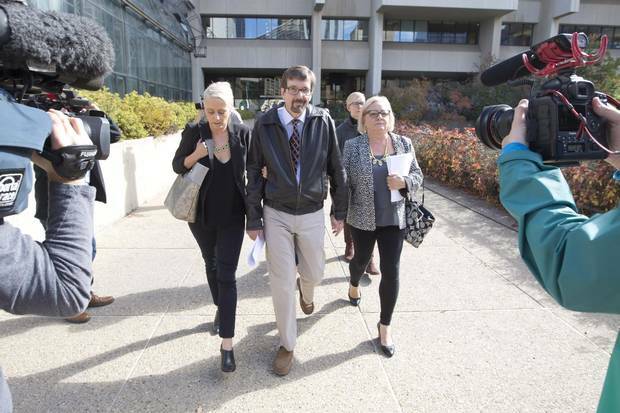 Nicole Walshe, daughter of Bret McCann; Bret McCann; and his wife Mary-Ann McCann leave the courthouse after Travis Vader was convicted of two counts of second-degree murder in the deaths of Lyle and Marie McCann. On Thursday, more than six years after seniors Lyle and Marie McCann disappeared while travelling along an Alberta highway, Court of Queen's Bench Justice Denny Thomas sat before a packed Edmonton courtroom, and turned toward a television camera transmitting a live video feed. It was the first time a decision by a criminal court had been broadcast in Alberta, an exceptional allowance recognizing public interest in a case that included allegations RCMP manufactured and planted evidence, and even a suggestion the seniors may not actually be dead. The accused, Travis Vader, has alleged a vast RCMP conspiracy against him, and predicted he would be found not guilty. "Linking the facts, I have found there is no question that Mr. Vader committed homicide," Justice Thomas said. He convicted Mr. Vader of two counts of second-degree murder. But within minutes of the verdict, legal scholars in the province were saying the decision contained a catastrophic legal error by relying on a section of the Criminal Code that had been declared unconstitutional more than 20 years ago. Mr. Vader's lawyer, Brian Beresh, filed a notice of appeal on Friday morning, asking that the conviction be set aside on grounds including that the judge "erred in relying upon a law no longer in force and effect in relation to second-degree murder." From a serious mistake by the RCMP at the very beginning of the investigation in 2010, to a potentially fatal error in the judge's verdict on Thursday, the case of the missing seniors has seemed, at times, as cursed as it is tragic. And, after six years of exhaustive police investigation, roller-coaster legal proceedings and ongoing public attention, what exactly happened to the McCanns, and where their bodies are, remains a mystery. Lyle Thomas McCann, 78, and Marie Ann McCann, 77. 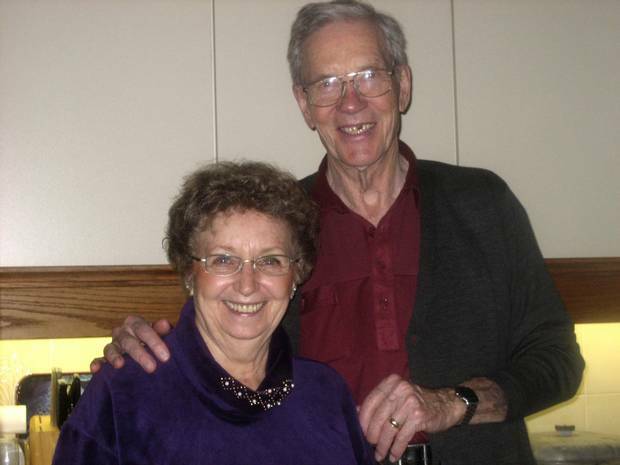 Lyle and Marie McCann were last seen on the morning of July 3, 2010, buying gas and groceries in St. Albert, just outside Edmonton. 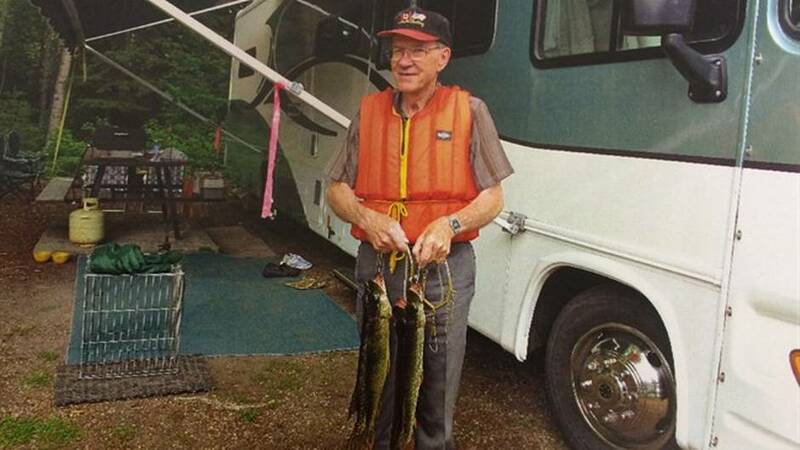 Lyle, 78, was quiet and hard-working, a retired truck driver who took fastidious care of his vehicles and was always up for one more game of pool. Marie, 77, loved to grow and arrange flowers, and made a great Saskatoon berry pie. They had been married almost 60 years. They always called each other darling. Their motorhome was found engulfed in flames in the Minnow Lake campground west of Edmonton on July 5, 2010, two days after their grocery stop, but police didn't recognize the potential significance of it at the time. RCMP phoned the couple and sent an officer to the McCanns' house, but they weren't there, so the burned husk of the vehicle was hauled to the dump and police didn't pursue it further. The motorhome wasn't identified as a potential crime scene until the McCanns' family reported them missing five days later, when they didn't show up in Abbotsford, B.C., to meet their daughter and granddaughter as planned. By then, a week had gone by. Mr. Vader was publicly identified by RCMP as a "person of interest" in the couple's disappearance six days after that. The then-38-year-old was well-known in the areas around where the burning motorhome was found; a meth user with a hot temper who had a long criminal history that included charges for arson, theft and weapons offences, and who was already suspected in a rash of property crimes. His father Ed, warned people at a community meeting not to try to corner his fugitive son. "They have had him in jail three or four times," he said then. "I don't know why they didn't keep him in there." Mr. Vader would soon become a well-known figure around the province as well, his name and face inextricably linked to the McCanns' high-profile disappearance. The mugshot released by the RCMP showed Mr. Vader wearing a dark sweatshirt, redheaded and pale, his gaze cast down and away from the camera, a small spot that looked like blood on the centre of his lip. He was arrested by an RCMP tactical team on warrants for unrelated property and weapons offences on July 19, 2010. In August of 2010, while he was in custody on those charges, the RCMP began publicly describing him as a "suspect" in the McCann investigation. Since his arrest that summer, Mr. Vader has been released from custody and re-arrested on multiple occasions, and the case has gone through a dramatic series of twists and turns wending its way through the legal system. July 3: Lyle and Marie McCann are last seen fuelling up their motorhome in their hometown of St. Albert, north of Edmonton, for a trip to Abbotsford, B.C. 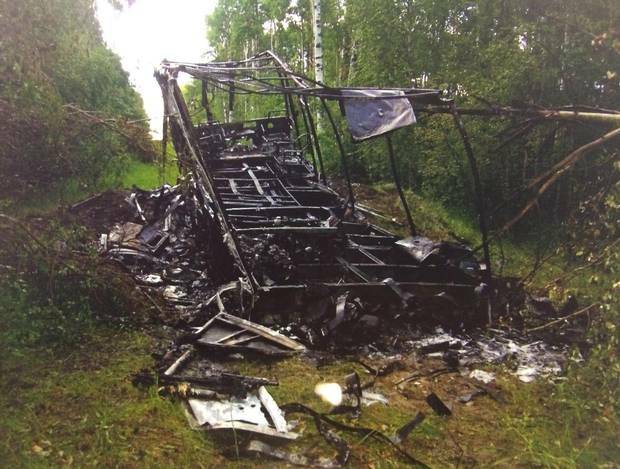 July 5: The burned-out motorhome is discovered in the bush near Edson, about 200 kilometres west of St. Albert. Mounties phone the couple's home and knock on the door. Officers later explain that they weren't alarmed because vehicles are often found burning in the bush and it's not unusual for people to be away from home during the summer. July 10: Trudy Holder calls RCMP when her parents fail to show up in Abbotsford. Mounties start searching for the couple. July 16: RCMP announce that the SUV the couple was towing has been found off a bush trail near Edson. 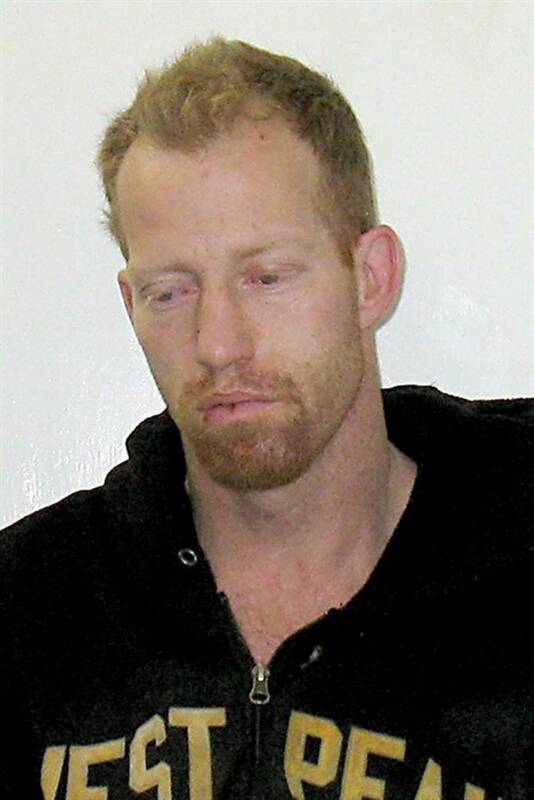 Officers name Travis Vader as a person of interest in the case and release his photo. July 19: Vader is arrested on outstanding warrants on unrelated charges. July 20: A judge declares the McCanns dead so their wills and estates can be processed. Dec. 22: Vader is sentenced to 33 months in prison for arsons and break-ins in the Whitecourt, Mayerthorpe and Barrhead areas of Alberta in 2009. He gets credit for time served but is kept in custody on other charges. April 18: Vader is charged with first-degree murder in the deaths of the McCanns. May 1: Vader is convicted of drug trafficking, theft and weapons offences in the Barrhead area in June 2010. Oct. 19: Before Vader can be sentenced, a judge declares a mistrial because evidence was not properly disclosed to the defence. Justice June Ross cites the RCMP as ``negligent'' and orders a new trial. Feb. 7: Vader files a lawsuit against the RCMP and justice officials claiming they kept him behind bars on trumped-up charges until he could be charged with murdering the McCanns. He had faced charges related to passing off a forged employment letter in court, but they were dropped. March 19: Crown prosecutor Michelle Doyle issues a stay on the murder charges, days before the trial is to begin, after discovering Mounties failed to disclose all evidence to lawyers. April 22: Vader files another lawsuit alleging misconduct by RCMP, malicious prosecution by the Crown and mistreatment by prison guards. Oct. 8: Vader is found not guilty of the previous drug, theft and weapons charges after a second trial. He pleads guilty to failing to comply with a 2010 court order and is sentenced to one day of time served. He is released from custody for the first time in four years and tells reporters his treatment by the justice system has been a "witch hunt." Dec. 19: RCMP arrest Vader and charge him again with murder in the deaths of the McCanns. Jan. 26: Justice Thomas denies an application by defence lawyers to drop the murder case over alleged abuse of process and an unreasonable delay in getting to trial. March 8: Vader's first-degree murder trial begins as he pleads not guilty. Sept. 15: Thomas finds Vader guilty of second-degree murder. Despite being quickly identified as a suspect, Mr. Vader was not charged with murder in the McCanns' deaths for nearly two years. A preliminary hearing was cancelled shortly before it was set to begin in September, 2013, and the murder charges were then stayed in a surprise move days before his trial was supposed to start in March of 2014. The Crown relaunched the prosecution in December, 2014, nine months later. The case rarely left the news for long. On several occasions, Mr. Vader faced new charges, including allegations of domestic assaults and breaches. He went through multiple lawyers, was accused of threatening to kill a jail guard and has also accused guards of assaulting him. He filed a million-dollar malicious prosecution lawsuit naming 60 people, including RCMP officers, Edmonton's chief prosecutor, a police informant, and various court and justice officials. In January, Mr. Beresh argued that the murder charges should be stayed because of abuse of process, related to the earlier stay. The application was unsuccessful, but Justice Thomas said at the time it was a close call. When his 11-week murder trial finally started on March 8, Mr. Vader, now 44, arrived late on multiple occasions and gave a variety of excuses, eventually sparking a hearing about whether he should be held in custody to ensure he would show up in court on time. He was re-arrested and denied bail in May after allegedly testing positive for methamphetamine and contacting one of the witnesses against him. Mr. Vader was also charged with theft of copper wire, and possession of a stolen truck. Throughout the years, he has spoken to media both on and off the record, giving his version of the various allegations against him, and talking about the successful career he once had working in the oil patch. He has repeatedly accused the RCMP of harassment and abuse, including at one point saying he believed they were "looking for a chance to shoot me." In June, he did a phone interview with the CBC in which he said the Crown put together a "very, very shoddy, incomplete case," and brashly predicted he would be acquitted of the charges. "There's never been a time in the last six years, this entire case, that I didn't know what the outcome was going to be," he said then. "And that's found not guilty and carry on with life. It's just why did they make it take six damn years?" The sprawling RCMP investigation generated reams of disclosure, and included a Mr. Big sting operation on Mr. Vader's sister, the use of paid informants, multiple phone taps and forensic evidence. The resulting case against Mr. Vader was circumstantial, but damning. His blood and DNA were found in the SUV the McCanns had been towing behind their motorhome, and which was found abandoned after their disappearance. Mr. Vader's fingerprint was on a can of Boxer beer in the vehicle. His DNA was on a baseball cap that belonged to Lyle McCann, and which had a bullet hole in it and Mr. McCann's blood on top. Marie McCann's blood, and possibly cerebral fluid, was found on cans of food inside the SUV. Witnesses testified to seeing Mr. Vader in the SUV the day the couple disappeared, and that Mr. Vader was broke that morning but had money in the afternoon. The keys to the McCanns' SUV were found in the back of a burned, stolen truck that had been linked to Mr. Vader. The burnt motorhome belonging to Lyle and Marie McCann is shown in an evidence photo released at the Travis Vader trial. Multiple calls and texts were made from the McCanns' cellphone to Mr. Vader's estranged girlfriend starting just after 2 p.m. the day the couple disappeared. The first text began "Hey babe its me," and the second was signed, "t."
The defence argued there were multiple serious holes in the Crown's case, including that the prosecution "at best" established only that the McCanns disappeared, but failed to prove beyond a reasonable doubt that they are dead. Mr. Beresh also urged the judge to discard the evidence of certain key Crown witnesses whose testimony he said appeared to be influenced or even "purchased" by the RCMP. He said the DNA found inside the McCanns' SUV should be discarded as inconclusive, and that the only possible inference from the forensic evidence was that Mr. Vader had some contact with the vehicle, which could have included talking to the occupants at the window. The defence suggested that another man, who is now dead, may have been the real killer, or that Mr. Vader was framed by two of the witnesses who testified against him. Mr. Beresh also alleged the RCMP may have manufactured and planted evidence, by cutting keys to the McCanns' SUV and then putting them in the bed of the truck that had been in Mr. Vader's possession. In his verdict on Thursday, Justice Thomas said the idea of the planted key was an unsubstantiated allegation by defence and refuted the idea of RCMP tunnel vision or conspiracy, saying he found that the force "wove a credible, albeit circumstantial web where Mr. Vader was the obvious suspect," and that he was convinced that the RCMP and the Crown identified the right suspect. "While I cannot reconstruct the exact detail of what occurred, I also have no doubt about the overarching relevant fact," he concluded. "The McCanns were victims of violence. Mr. Vader inflicted that violence." Mr. Vader, who earlier exchanged smiles and a wink with his sister and another woman in the front row of the packed courtroom, looked increasingly grim as the decision was read, sometimes furrowing his brow, other times shaking his head with an expression of disbelief. Mr. Vader had been charged with two counts of first-degree murder, but Justice Thomas convicted him of second-degree murder instead. Many people around the courtroom gasped and wept when the verdict was read. Members of the McCann family embraced. The case was adjourned into October to begin sentencing proceedings. A member of the media watches a live stream of Court of Queen’s Bench Justice Denny Thomas deliver his verdict in the Travis Vader case. Steven Penney, one of the professors who quickly raised concerns about the decision, said he believes there is a "very high probability" that the error is fatal to the conviction. There are now a number of possible outcomes, including that Mr. Vader could be convicted of manslaughter, or that a mistrial could be declared. In that case, it's possible the charges will be stayed, based on the significant delays that have already occurred bringing the case to trial. "This is a stunning error, there is no other way of characterizing it," Prof. Penney said. In his notice of appeal, Mr. Beresh alleged both errors in law and findings of fact. He is asking that the conviction be set aside, and that Mr. Vader be acquitted. Members of the McCann family have spent much of the past six years dealing with their trauma in the public eye. They led their own searches through dense Alberta forest the first summer, and kept the missing couple's story in the media in the years that followed, offering a reward, appealing for tips and speaking publicly throughout the many twists and turns of the case. Bret McCann has repeatedly said that he put his faith in the police investigation and the judicial process, and that his family hoped one day to know what happened. For the moment, the version of events contained in Justice Thomas's decision may be the closest to an answer there is: That Travis Vader met two senior citizens on an Alberta highway some time on the afternoon of July 3, 2010, drug addicted, desperate and wanting what they had. There was violence. At least one shot was fired. And Travis Vader killed Lyle and Marie McCann. Outside court, before the verdict was called into question, Bret McCann recalled a candlelight vigil days after his parents went missing, when it wasn't clear whether they were just lost or hurt, and when their family still believed maybe they could be brought home safe. "I remember saying something like, 'Mom and dad, hopefully you can hear me. Know that we will never give up searching for you,'" he said. "Well, six years later, I have to stand down. I'm sorry mom and dad, I can do no more. I hope that some day, somehow, you will be found."